I thought we’d play with QR codes again today. One of the advantages of having a school that is past it’s best-before date is that we could paint artwork onto the outside walls without having to get permission from PPP companies. We talked about the things that make our school great and the things that are different and unusual about our school. We agreed that the automotive course, the Digital Media Computing and computer games courses and the retail and hairdressing courses are all very unusual to find in schools. We thought about what a QR code could link to, like a web address or text. Maybe the text could have quotes from famous people or short poems. Web addresses could link to youtube videos or the school website. We also thought that the best way to do the QR code section of the image might be to use tiles. With the S5 class we went for a walk around the school to look at areas that we could put artwork up but unfortunately the S3 pupils couldn’t go for a walk as it was pouring with rain. Then we tried to plan out what our QR code graffiti could look like. It’s actually quite difficult to plan out huge mural-sized art! 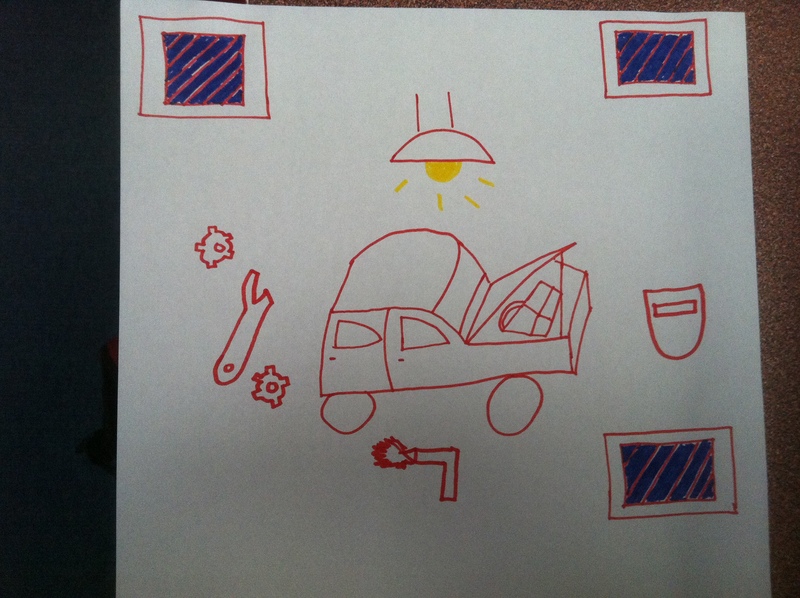 This entry was posted in Ms Farrell's blog, S3 DMC, S5-6 DMC, Still Images. Bookmark the permalink.